TurningPoint interactive polling software and student response clickers serve as a valuable study tool. Jennifer Cowley is a seasoned senior lecturer in the undergraduate program at the University of Kentucky College of Nursing. Over the last 24 years, she has taught clinicals, skills and physical assessment labs, and lectured in Fundamentals of Nursing, Med-Surge Nursing and High Acuity Nursing. She also co-developed and taught a didactic Pathopharmacology course for five years, and has been awarded the University of Kentucky Provost’s Outstanding Teaching Award. NCLEX is the licensure exam that all graduating nursing students need to pass in order to practice nursing. Needless to say, preparing students to pass NCLEX is always fresh on both teachers’ and students’ minds. Years ago, when Cowley learned about the capabilities of student response systems, she knew that utilizing them in nursing classes would be invaluable. Cowley will read the stem of the question, and then give students 30 to 45 seconds to talk to each other and choose their answer on their response clickers. Receiving and displaying instant feedback allows her to decide whether she needs to discuss why 25% of her students chose A when D was correct, or praise them because the majority answered a difficult question correctly. Before every exam, she has an optional “clicker review” outside of class time. For 60 minutes, she will post TurningPoint polling questions related to the upcoming exam content. The discussions she and her students have during these reviews all stem from these questions. 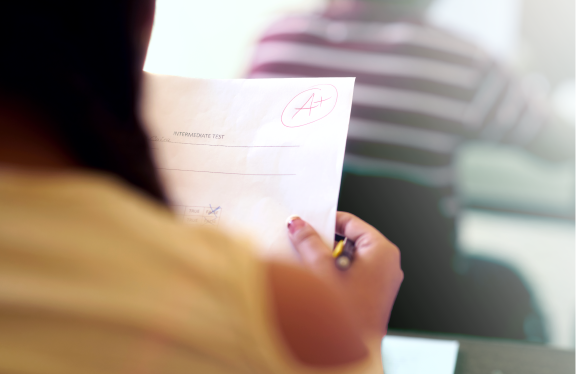 Typically, 80% of her students attend these “optional” exam reviews – a turnout that speaks volumes for the effectiveness of clickers in the classroom. The outcomes and student feedback have been so overwhelmingly positive, that currently every student entering the nursing program at the University of Kentucky is required to purchase a response clicker – and they are used in nearly every course in the College of Nursing.